We're currently working on projects in housing, culture and the environment, so the premise of Sound Development sounded too good to miss. Bringing together the cultural and music sectors with property developers for the first time, the conference aimed to be the start of a conversation, and highlight best-practice in the area. Our COO James Ketchell (with his Music Heritage UK hat on) went along to find out more. He wrote up his thoughts on the Music Heritage UK blog, which we have reproduced below. Read the original here. Bringing together property developers and the music and cultural sectors, the first Sound Developmentconference took place in central London yesterday. Held at the offices of developer U+I , the event featured a range of panel discussions and presentations around development and music. We were also delighted to discover more about some of the positive building projects taking place and how music and culture can be seen as essential to creating new locations and successful new developments. Firstly Paul Callaghan CBE of the Sunderland Music Arts and Culture Trust presented their plans around the creation of a new music, arts and culture quarter in the city. They’re in the process of redeveloping the former fire station and magistrates courts, as well as two pubs, to create a thriving and bustling artistic and musical area for the city, and in the process building new venues to host live music in Sunderland. 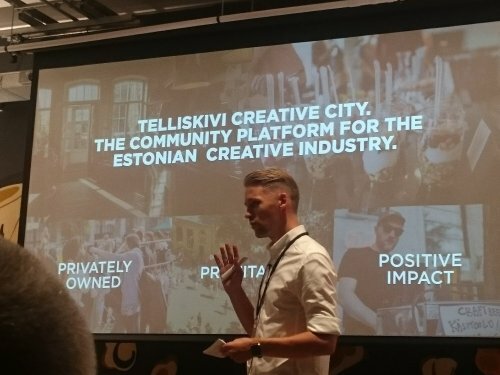 Secondly, Jaanus Juss from Tallin, Estonia presented Telliskivi, an exciting urban development of a former industrial area. Their project encourages festivals and other cultural events around a smart re-development which offers discounted rents to young entrepreneurs, start-ups and pop-up shops. Finally, we were delighted to see more details around the Old Vinyl Factory project in Hayes. U+I Deputy CEO Richard Upton presented the project which is housed in the old EMI vinyl factory and which will see an entirely new location to live, work and play housed in and around the old EMI/HMV factory buildings. 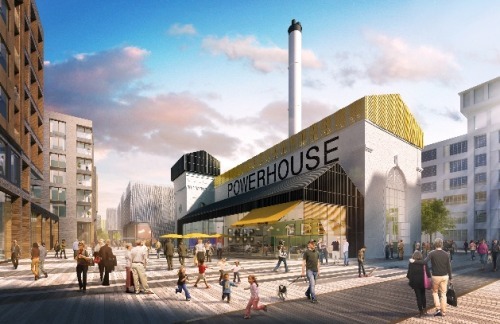 Their plans include the former Powerhouse which will be converted into a music venue. While we would have welcomed a bit more of a debate around certain topics - some of the panels felt a bit as if speakers were taking turns to present, rather than discussing specific issues - the day should be viewed as a success and a great first step in bringing together the property and arts sectors. We hope that next year more developers will see the value in being involved and engaging the arts/music sector. We were also delighted to have more positive examples of how developers and culture can co-exist and be beneficial for all. Congratulations to Shain Shapiro of Sound Diplomacy for organising the day and we look forward to the continuing the discussion next year.